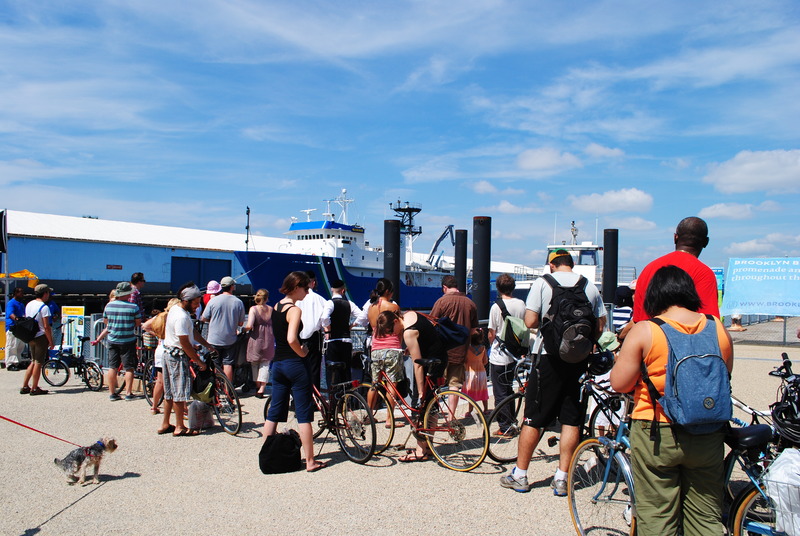 The weekend ferry is free and you can take your bike on board. It leaves about every 10 minutes (from 11am until 5pm) from the Atlantic Ave pier. 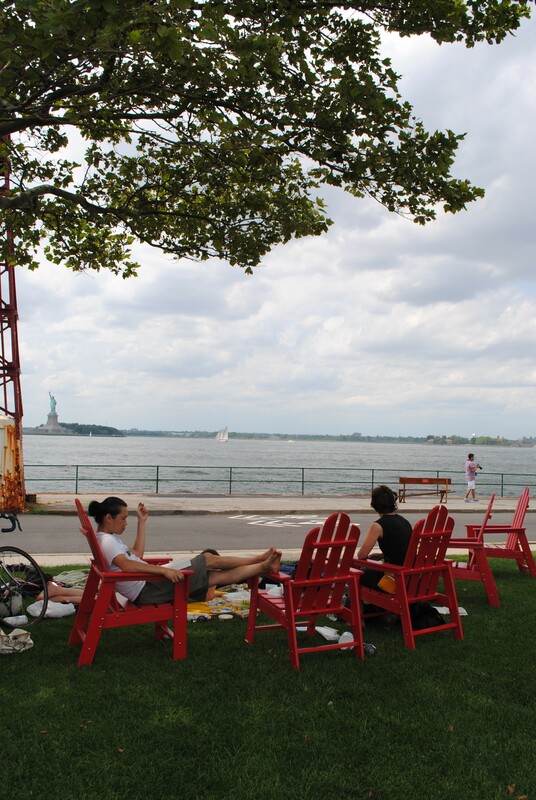 It is a quick, couple minute ride across the East River to the island oasis. 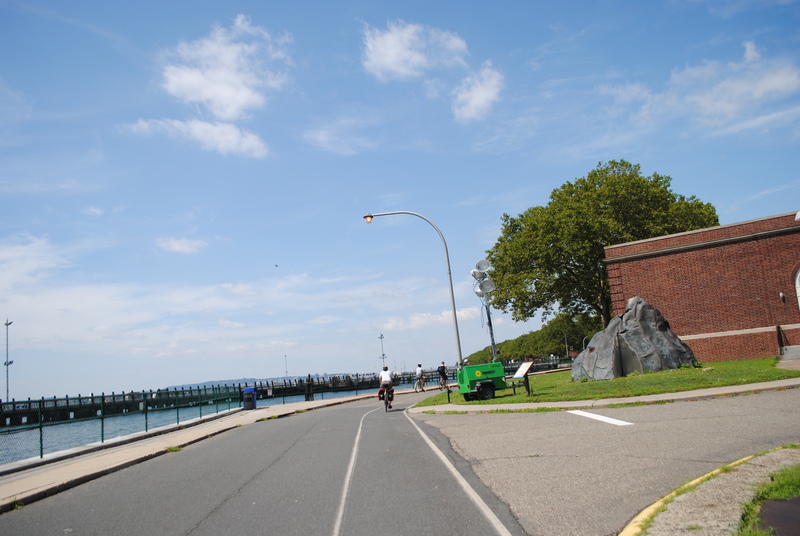 It is also accessible by a ferry from Manhattan and by kayack. 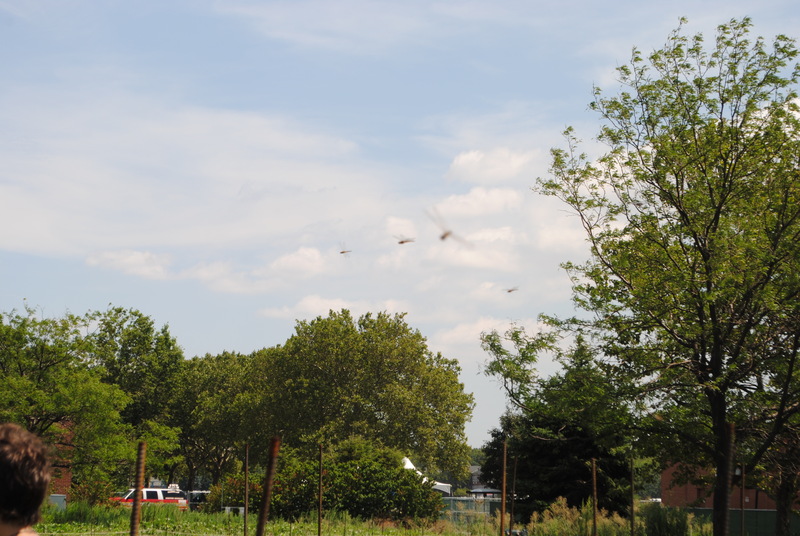 Governor’s Island is part natural, part landfill from the Lexington Avenue subway excavation in the early 1900’s. Declared a historic landmark district after the base closed, the area is now open to the public during the summer and early fall. 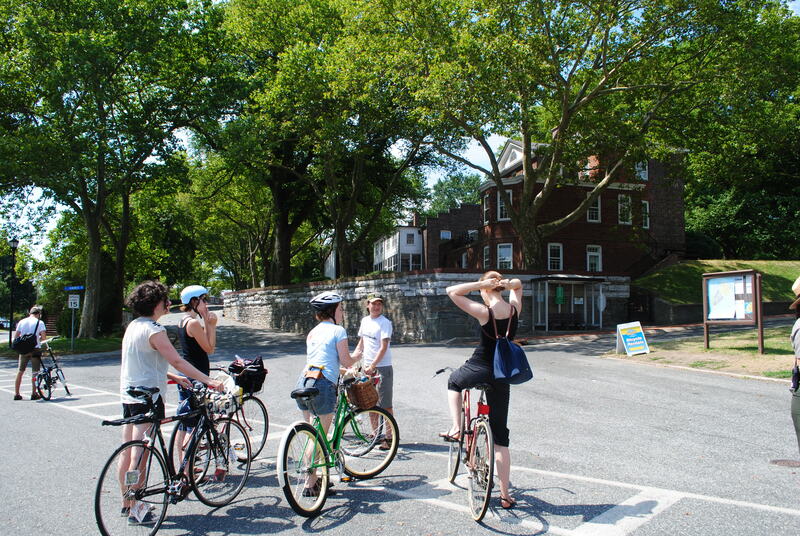 Bike paths make it great fun to tool around and check out the historic houses, castles, churches and barracks. 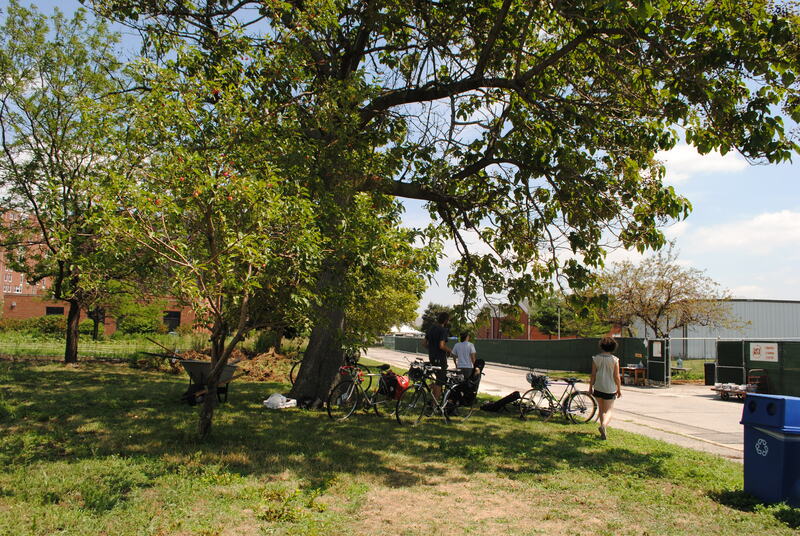 Right now the island is only slightly occupied with bike rentals, empty buildings, a farm stand, a couple food stands, some museums and a small network of roads and bike paths. In 2010 the city entered an agreement to take full control of the island’s development form the State, and unveiled a new master development plan. Under the plan, the historic northern end will remain structurally unchanged, the middle of the island will be developed into a park stretching all the way to the southern tip, areas on the east and west sides of the island will be privately developed to generate revenue, and the entire island will be edged by a circumferential promenade. The 40-acre park will feature playing fields, woodland, and hills built of the rubble of the disused 20th-century buildings sculpted to frame views of the city. 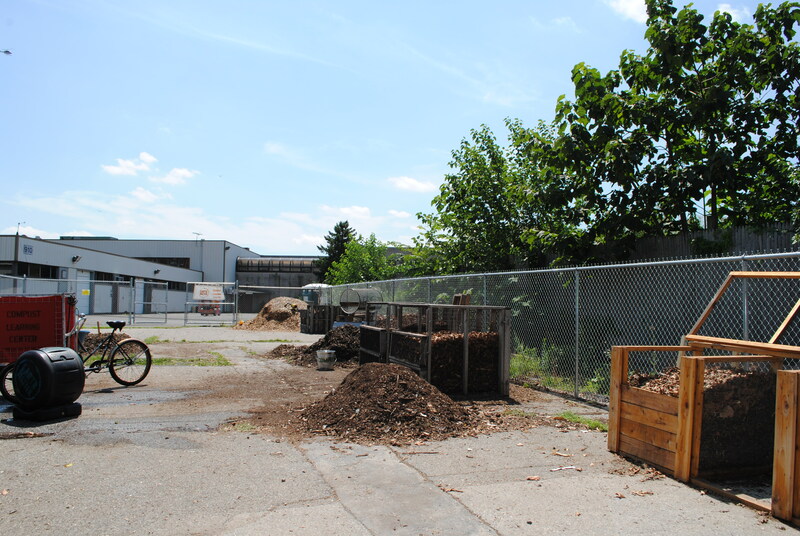 The southern end of the park will meet the water in a series of wetlands. 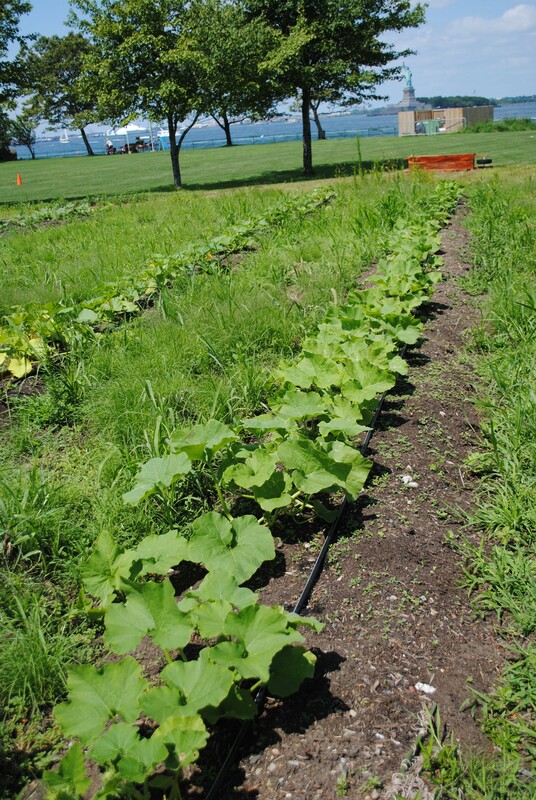 In addition to the grassy picnic areas & biking paths, the island is now home to a field of vegetables. 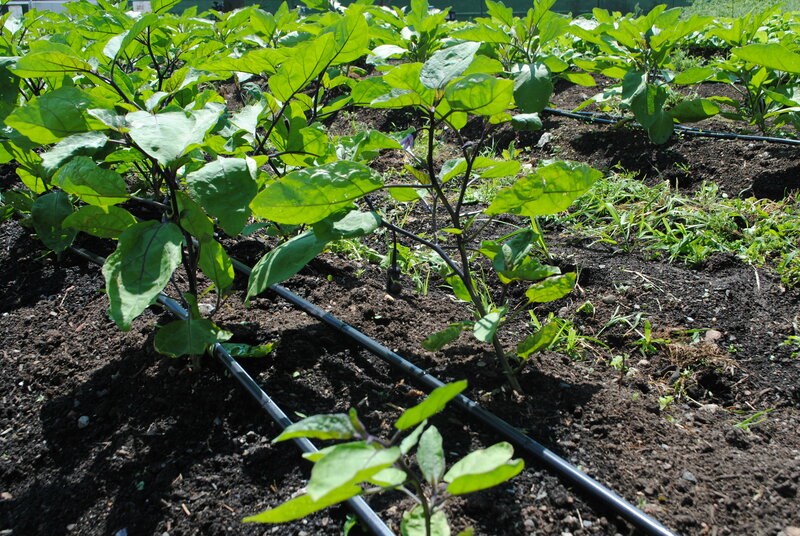 The folks from Added Value were cool enough to take time out from weeding and watering to give us a tour of the farm. 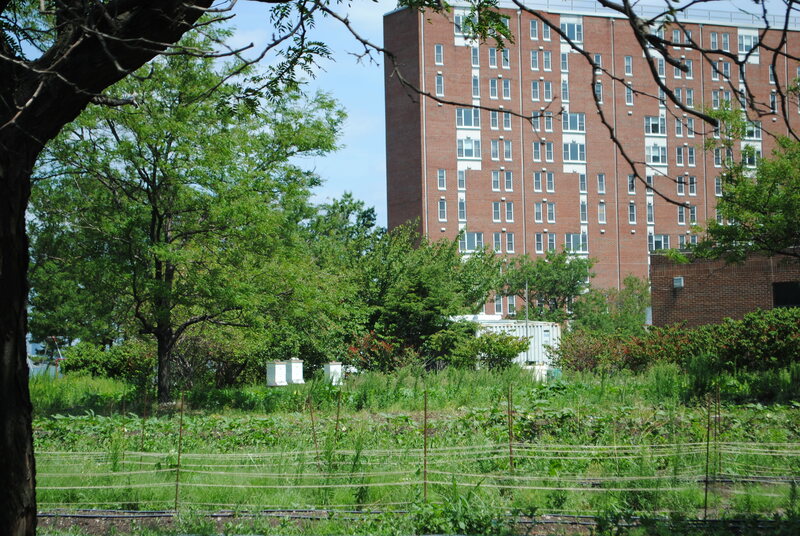 Beehives, apple trees, and hundreds of plants are part of the magic that is growing on top of demolished army barracks. 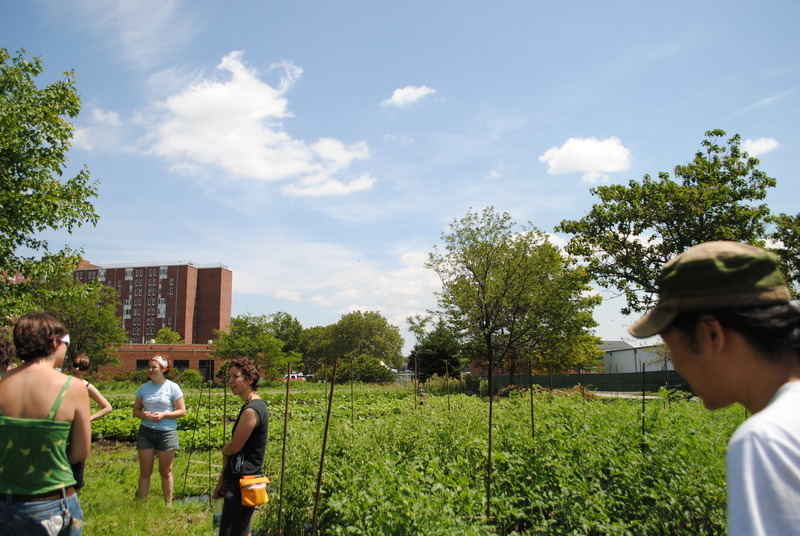 Volunteers are welcome every Saturday & Sunday. 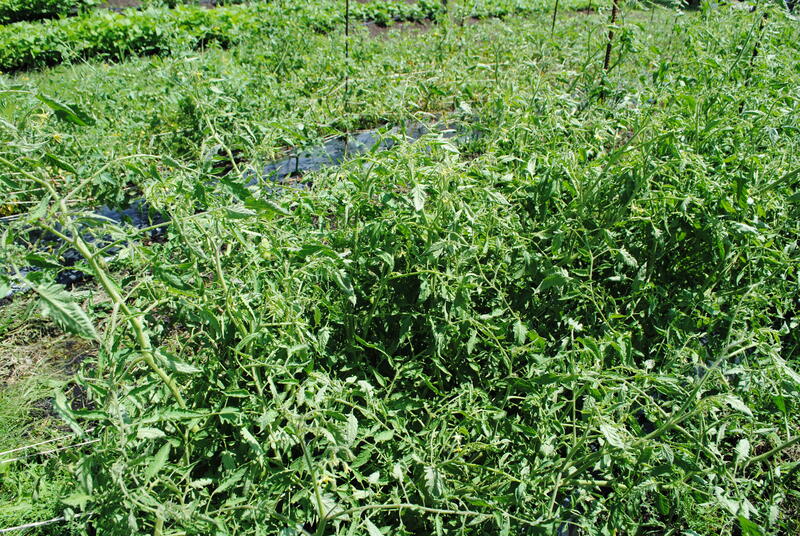 Plenty of weeding and whatnot. 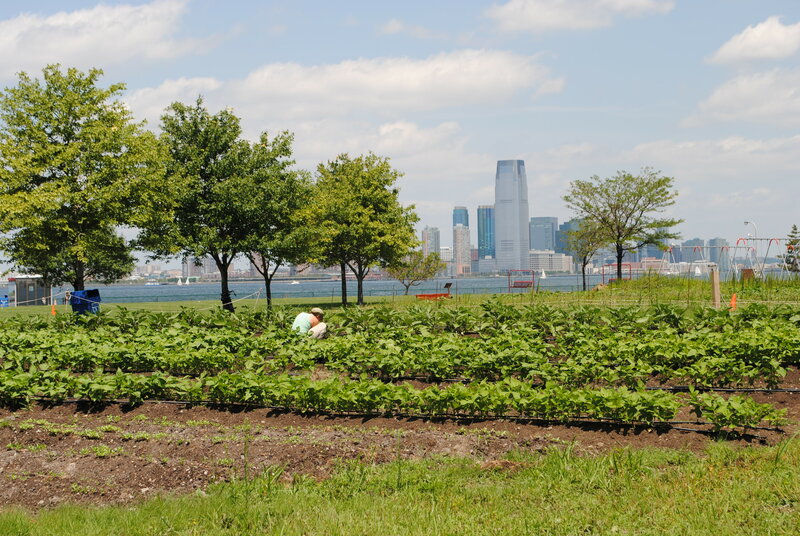 Added Value is currently trying to raise funds to continue farming on Governors Island please contribute if you are able through Ioby.com at http://ioby.org/projects/brooklyn/growing-governors-island. 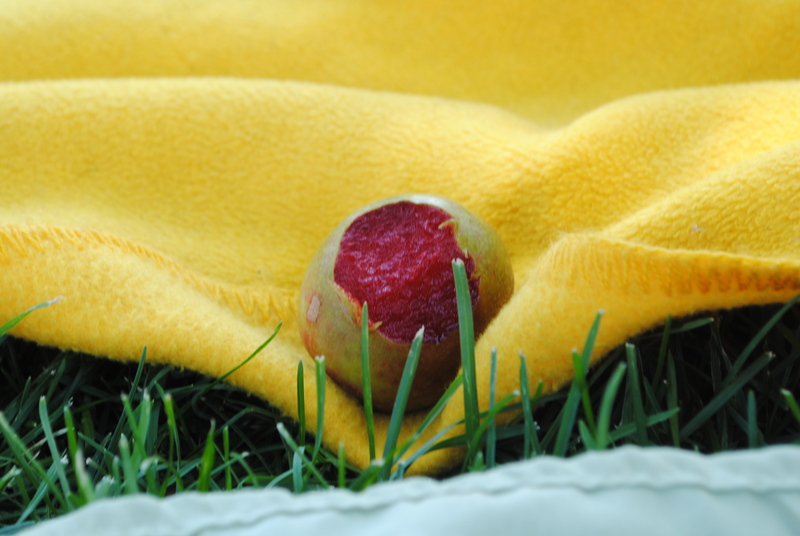 The best part of our day came with our picnic lunch. 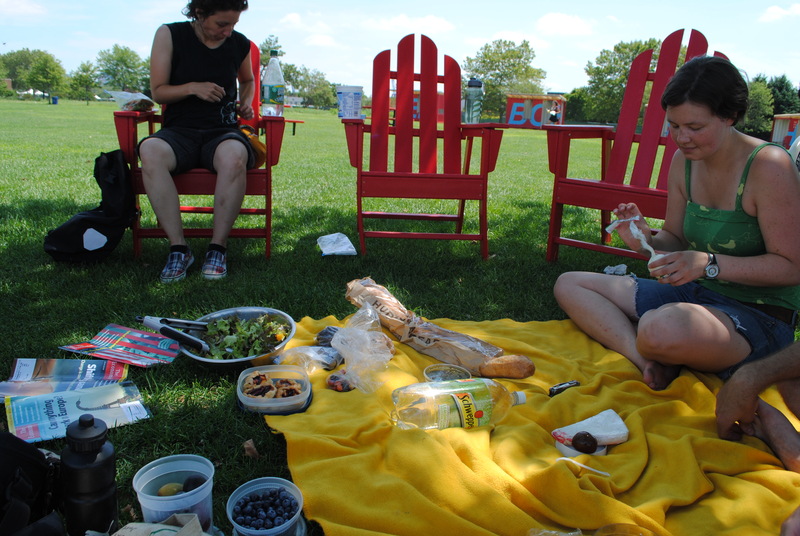 Picnic Point is one of the supreme picnic spots in the city and our CSA produce rocked some seriously yummy picnic fare. Blueberry muffins, homemade jams, green salads, veg sandwiches, and more. With bike paths, good books, great conversations, and musical fun, it took a torrential downpour to drive us off the island. 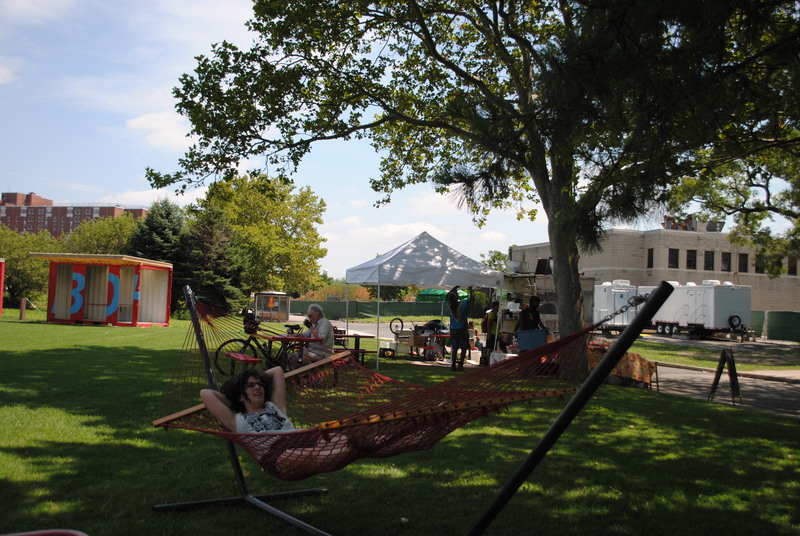 Be sure to check out the good times to be had at Governors Island for yourself! Super big thanks to Alyssa for organizing such a great community event!